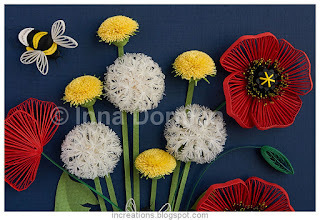 Easter is coming soon, and this year it is celebrated from Good Friday on March 30th, until Easter Monday on April 2nd - making Easter Sunday fall on April Fool's day. 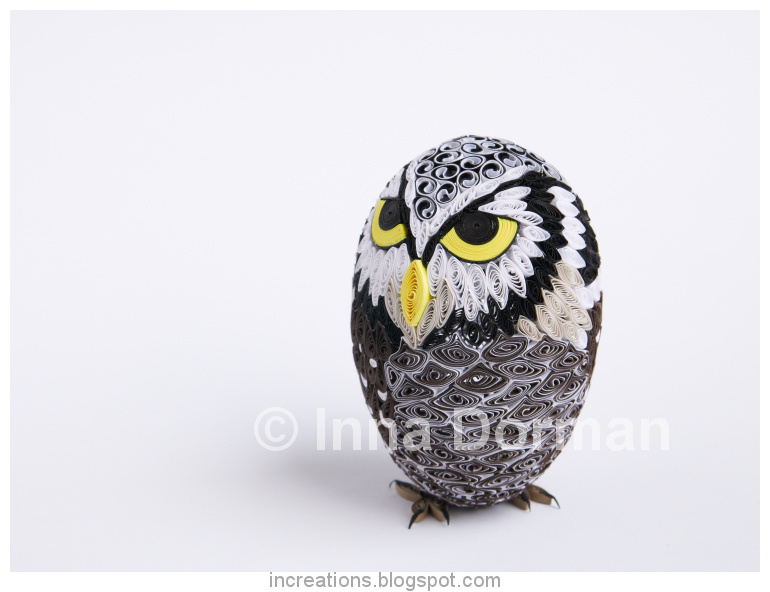 For this occasion, I would like to show you my new quilled Easter egg - a Northern Hawk Owl. I haven't been writing to this blog for a long time, but I still do quilling and have creations to show. 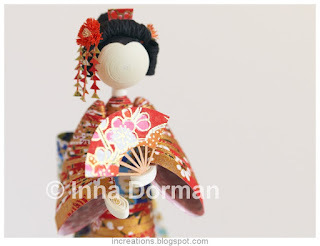 Today it will be a paper doll made out of original Japanese washi paper and quilling strips. I was recently asked to make a quilled letter for a birthday present. Something not very complex and not too large so that could fit on a desktop. The present was meant for a person whose first name started with "L". 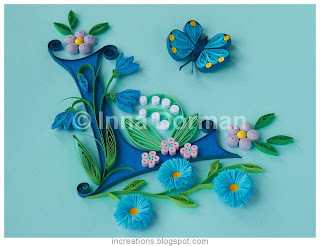 This is how my first illuminated quilled letter was created. As you may know, I lived in Canada for a year, and this certainly influenced my creations. 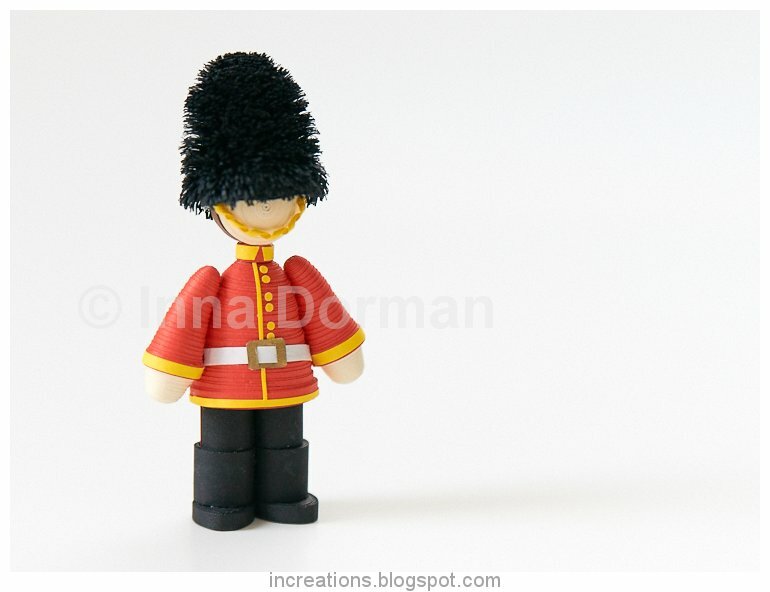 In Canada, you can see guard soldiers wearing a ceremonial red coat — a historic British military uniform, and a bearskin — a tall fur cap. That is because Canada is a federal parliamentary democracy and a constitutional monarchy at the same time, with Queen Elizabeth II as its head of state. Traditionally, the bearskin was the headgear of grenadiers, and is still worn by grenadier and guards regiments in various armies. The outfit is really hard to miss, and I was inspired by Queen's Guard soldiers when I made this three-dimensional quilled miniature wearing a bearskin.